Hello, lovelies! It's finally the weekend. I just had a quick appointment of showing a condo unit to my client and went home; yes, I'm done working for this week. And for today's outfit post, I'm featuring products from ROSEGAL. I have ordered a few items from them and I'm satisfied when it comes to quality. I didn't expect the products be as nice as what I have received and with that, I think this store will make it to my favorite stores to frequent. Why I wouldn't, eh? They have this denim midi dress that is definitely worth a check out. 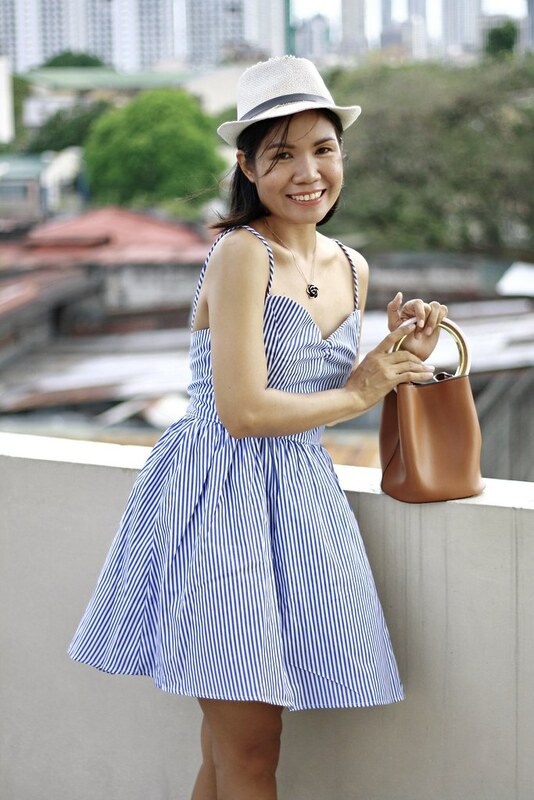 I ordered this blue striped spaghetti strap sleeveless mini-skater dress because I got attracted on its design and color. As I have mentioned from my other posts, this blue stripes print makes your look refreshing. Agree? I love the A-line fit and the back is actually very cute because the back is tie closure. I forgot to take a photo of my back side and I totally regret it. Just click the item link above to see it's back design. You'll love it, too! The material used is nice; not thin. It is true to size. If they will release another color in red stripes, I'd probably order one. 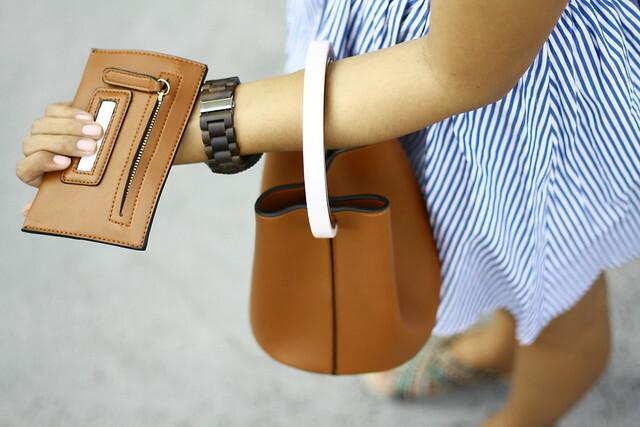 As soon as I saw this brown bucket bag with wallet, it's added to my shopping cart in a snap. True to what it claim at the Rosegal product page, this bag is very beautiful. What you see is what you'll get. There's no regrets on ordering this bag, it's too damn cute not to carry sling style. The material is much nicer than the usual PU leather. The quality is very good. I really love the handle; the a wood and kind of white marble-like. 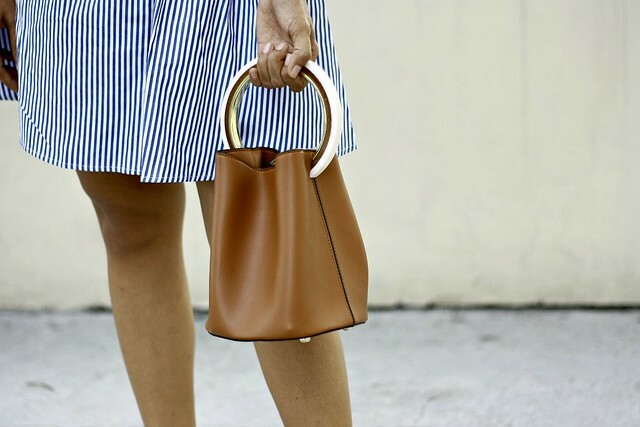 The handle makes this bag even more gorgeous!